Stringent government regulation: bitcoin is decentralized and has no central authority regulating it. This allows users to avoid regular payment processes. It is attractive to lots of users because it means zero inflation or the central It also attracts cyber thieves who love stealing without leaving a digital footprint. Governments have refused to adopt the currency because financial institutions and banks are concerned about their ability to promote laundering or commit crimes. 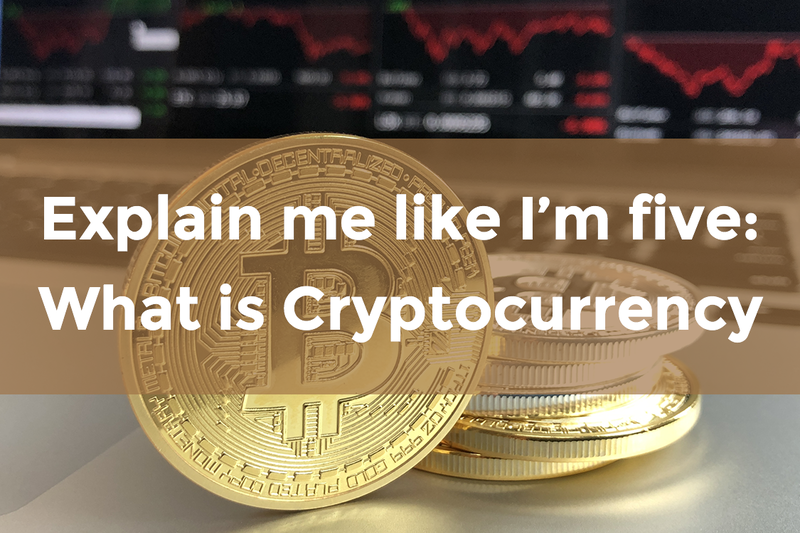 Earlier this year, the finance minister of India said cryptocurrencies would not be recognized as a legal tender by the country. It will also discourage the adoption because of the widespread use in different illegal activities. Also, facebook requires crypto and bitcoin advertisers to pass through a stringent approval process. It also banned ads for initial coin offering. TRON was seen amongst the top gainers in the crypto market this week increasing by 18.36% in the last 7 days with a market cap of around $3bn. The main idea behind TRON’s blockchain technology is to “heal the internet” by constructing a worldwide free content entertainment system. This allows users to freely publish, store and own data, enabling them to own the rights to their content and make decisions about when, how and at what cost to share it. n the digital entertainment world, TRON is a new kind of distributed system. It includes everything from streaming video to online gambling to social networks. Here the users themselves own the economy as Justin Sun, the creator of TRON wanted it to be. Just talked to a guy into crypto and he called Verge and Tron shitcoins. I just laughed, went home and bought more of both. 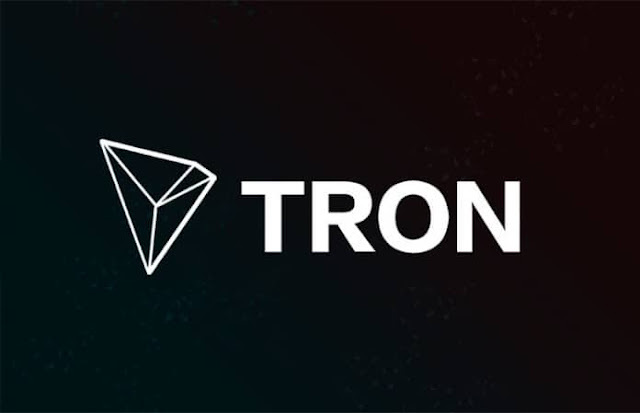 TRONIX is the Cryptocurrency running on TRON which also supports other currencies in service of the distributed economy. Justin Sun, the founder of TRON had announced a few days ago, the main net of TRON will be launched in advance. TRON supporters are delighted about the advance launch while some are skeptical about how the tech team will accelerate the development progress and the launch. We graded all functions according to the priority analysis of user needs. The main net launching in May will have all high priority functions. Functions with lower priority will be deployed later in the form of version upgrades. Lucien Chen claimed the release date of the test net will be March 31st with full functionalities. Justin Sun, the former chief representative for Ripple is the founder of TRON which is amongst the top 20 coins in the crypto market today. With an average daily turnover of $3 million, nearly 50 thousand people own TRON worldwide. At 5 cents, this coin is a STEAL!! Easily a top 5 coin for 2018 with 20x gain or probably more. TRON, top 5 highest volume alt coin, on major exchanges, and has all the ingredients to be on Coinbase and GDAX in the near future. TRON to the MOON! Despite TRON’s unnecessary buzz, market analysts believe the real value in the TRX team is their tech addition and the announcement of the Tron main net which will remove the ETH dependancy. There have been questions about the apparent “coin burn” which was expected soon. The Main Net release, coupled with a ‘good’ Bitcoin market would be the ideal environment for TRON. 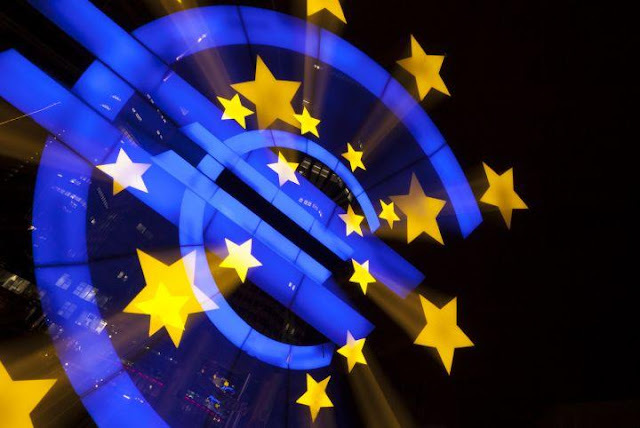 The European Central Bank (ECB), the central bank for the Eurozone, is unwittingly boosting the case for cryptocurrency adoption, the community believes - and that’s exactly the last thing they want to be doing. This comes after they said they could always create money, and the crypto community was quick to reply with accusations of scamming. The quote was attributed to Peter Praet, executive board member and chief economist of the ECB. Quantitative easing (QE), also known as large-scale asset purchases, is an expansionary monetary policy whereby a central bank, which is the ECB in this case, buys predetermined amounts of government bonds or other financial assets in order to stimulate the economy and increase liquidity. This operation started in 2015 and was finished by the end of 2018, during which the ECB has spent EUR 2.6 trillion (USD 3 trillion), buying up mostly government but also corporate debt, asset-backed securities, and covered bonds, at a pace of EUR 1.3 million a minute, according to Reuters. That equates to roughly 7,600 euros (BTC 2.23) for every person in the currency bloc. 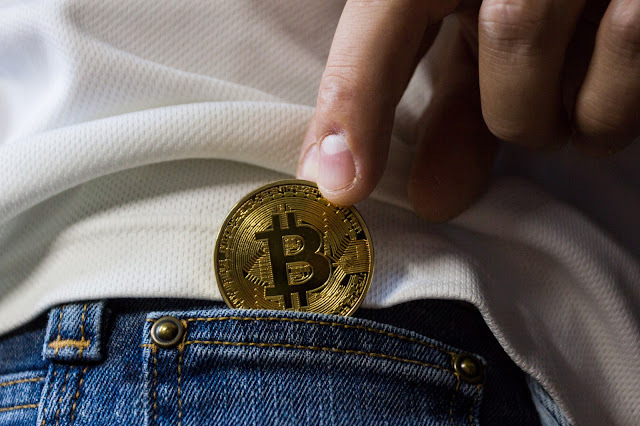 The cryptocurrency community took issue with the reply, with many tweeting gifs of the Bitconnect Ponzi scheme, which has since its downfall become synonymous with shady doings. "As a reminder, when central banks and governments decide to simply print more money, they are stealing wealth from the majority of the population and enriching the elites. According to the [International Monetary Fund], inflation is one of the leading causes of income inequality in the world," Anthony Pompliano, co-founder and partner at Morgan Creek Digital, a digital asset management firm, wrote in his newsletter. He went further to explain that "inflation leads to rising prices for real assets (real estate, etc), which are owned by the elites generally." "Central banks may be able to print more fiat dollars, but eventually the Ponzi scheme will end. When it does, Bitcoin will be there, as scarce as ever, with the inability for anyone to print more," the famous Bitcoin bull concluded. An interesting point was raised by user @spiroseliot, who tweeted a picture of a street, supposedly in Venezuela, filled with paper money that was rendered worthless due to the country’s recent hyperinflation. One of the main points that Bitcoin proponents raise as an advantage over central bank policies is the fact that Bitcoin is capped at 21 million units, which means that in times of shortage, it cannot be printed, which prevents inflation. However, due to the laws of supply and demand, the price of individual bitcoins would rise. Additionally, due to it's decentralized and mathematically specified nature, the asset cannot be controlled by any given entity. On the other hand, the QE was launched as a way to prevent sub-zero inflation from further hitting an economy still reeling from the euro zone debt crisis in March 2015. While it did lift economic growth, helping the rise of wages and lending while keeping inflation subdued, the ECB has also been criticized because the bond buying has depressed interest rates and hurt European banks’ profitability. 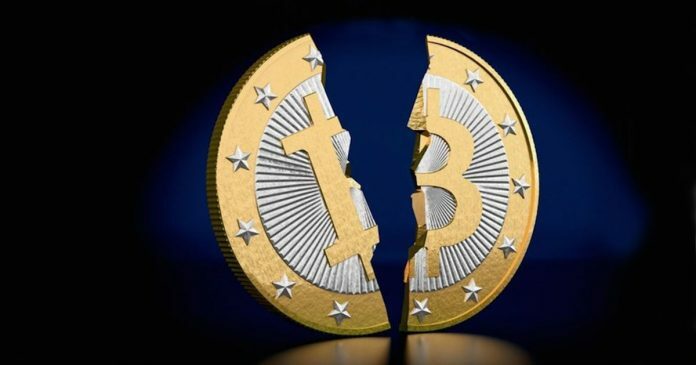 Meanwhile, the Basel Committee, the primary global standard setter for the prudential regulation of banks, stressed that "crypto-assets" [that] are at times referred to as "crypto-currencies", do not reliably provide the standard functions of money and are unsafe to rely on as a medium of exchange or store of value. 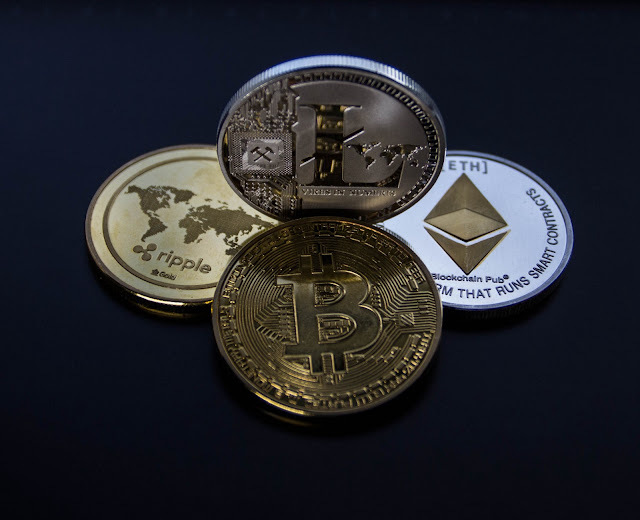 "Crypto-assets are not legal tender, and are not backed by any government or public authority," the Committee said in an announcement today. "They present a number of risks for banks, including liquidity risk; credit risk; market risk; operational risk (including fraud and cyber risks); money laundering and terrorist financing risk; and legal and reputation risks," it added. Is that a dial-up modem ringing in your ears, or are you just looking at today’s Google Doodle? It might be both, because March 12 marks a special moment in the history of the internet — the birthday of the World Wide Web. The series of tubes we know and love as the web is now a sprightly 30 years old. The www you see in your browser’s address bar when you access a URL, a.k.a. the web, a.k.a. what helps keep you tethered to your screens, is barely a millennial; indeed, the web is 18 years younger than email, and two years younger than the GIF. Wondering what the difference is between the world wide web and the internet? Rethinking your ability to explain what the web actually is? Strap in, because the answers are fun and inspiring, and there’s no time like a birthday to time travel through internet history. A quick refresher on the basics: The first person to invent anything like the modern computer was British mathematician Charles Babbage, who spent the 1820s and ‘30s developing the concept for a programming machine which contained the equivalent of a modern computer processing unit. About 110 years later, scientists finally built what would become the modern computer as we know it, and the first computer company, the Electronic Controls Company, was founded. The internet, however, comes to us not from a computer company, but direct from the United States’ Cold War military strategy. In the 1960s, American intelligence officials were seeking ways to diversify their information caches, not only so that information would be easier to share among operatives but so that, if foreign agents managed to destroy one cache, they wouldn’t be destroying all of the military’s intel. At the time, the military organization ARPA, short for the Advanced Research Projects Agency, was a pioneer in computer innovation. Enter two young MIT grad students named Leonard Kleinrock and Larry Roberts. In 1961, Kleinrock developed his thesis around the idea that computers could talk to each other if they could carve up their information into tiny, easily transferrable packets. In 1966, Roberts took this idea to ARPA and used it to build something called the ARPANET. A US Defense project, it was the first working computer network and formed the basis for the modern internet. A few years later, two more ARPANET architects, Bob Kahn, and Vint Cerf, created the modern internet protocols for information-sharing between computers that are still in use today. In a nutshell, the internet still runs on Kleinrock’s basic idea — the dissemination of information that’s split up into small amounts for easy transmittal. But these days, it’s a little more elaborate: Namely, it’s what connects our phones and laptops to servers full of information and puts content on our screens when we type in website addresses. It does this via the World Wide Web. And we have tech legend Sir Tim Berners-Lee to thank for it. The internet and the web are not the same things, even though we frequently talk about them as if the two terms are interchangeable. The internet is a giant network of computers that are united by their ability to communicate and exchange information through the network. When you go “online,” you’re putting your computer in touch with all the millions of other computers that are connected to the network, a.k.a. the internet. The World Wide Web is a universally accepted way of accessing the internet. If the internet is an invisible information superhighway, the web is the magic carpet that lets you travel along the highway, allowing you to comprehend everything you do and see along the way — almost as if you’re soaring, tumbling, freewheeling through an endless diamond sky. The web as we know it was first formalized as a plan by Tim Berners-Lee when he was barely over 30 himself. The year was 1989, and Berners-Lee, a former trainspotter turned physicist turned self-taught computer scientist, was working at CERN, the famed particle physics lab in Switzerland, as a computer research fellow. But there was no integrated system for how to easily write, transmit, and store interconnected information across computers in an organized way. There was no streamlined system for how to put information on a server and then allow all computer users in a network to easily access it. So Berners-Lee sat down and wrote one. On March 12, 1989, Berners-Lee submitted an information management proposal to his boss — astonishingly called “Information Management: A Proposal.” Within that proposal, as shown in the diagram below, he outlined his idea for a computerized system that would allow users to write, format, and interlink content (think: webpages) through hypertext (think: links you click on to get to webpages). And just like that, the internet was born. Berners-Lee got permission to build his system-thingy, which he modestly named “the World Wide Web.” Throughout 1990 he would go on to write the world’s first web server and the world’s first browser client, and to dictate the way computers parse URLs, HTTP, and HTML. So basically, this guy invented the way that we access and consume information on the internet. Wondering what the very first web address was? It was a CERN address, the modest http://info.cern.ch/. It’s still online today, and it’s a tiny Brutalist gem. As for Berners-Lee, he went on to become a major internet thought leader, and an outspoken proponent of Net Neutrality. He was among the first people inducted to the Internet Hall of Fame in 2012. He was knighted for the feat of creating the World Wide Web, in what was surely the most justifiable knighting since Heath Ledger. And since we have him to thank for the fact that I can embed A Knight’s Tale jokes in an otherwise serious piece about the history of computing, I doff my cap and bells in your honor, Tim. Thanks for the last 30 years of connectivity and culture. With every aspect of living turning digital the few left to be physical are becoming a burden now. it is not preferable or even advisable to carry things around which if lost would be a risk and cause damage. These high-security things are nothing but the cards of permit and identification. Steps are now being taken to make cards like driving license to be preserved on your android to avoid the risk of it getting destroyed or lost. The main idea is to store your driving license on your android so that it can be produced as and when required. Also, the safety issues are solved by this. A lot can be made easy with this Digital Driving License. Things like checking the age limit can be made easy. It is easy to make duplicate ID cards in the physical world. But with digital storage, duplication will rather be a difficult job. Though the bright side is too bright to ignore there are other things too of equal importance. Using the Digital Driving License will give you control over who can see your ID cards but the question of who can access is still unanswered. The person will have comparatively less control over who can access the Digital Driving License. The user can pin-protect the phone and the App that will store the data. But these security measures will safeguard it from the physical world. The virtual world can still break into your phone. And this is a serious issue. Also, the phone should always be in a state to produce the license. If some internal issues of the phone refrain you from doing the task it will be a difficulty. Google is working on solving these issues. IdentityCredential uses the protocol of key exchanges that the ISO18013-5 standard uses for mobile driving license. 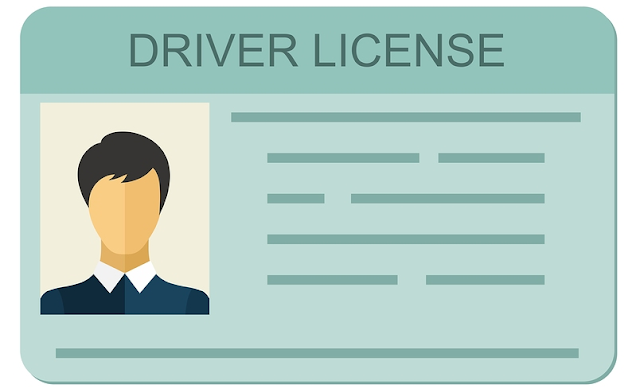 The identity credential API now only supports the driving licenses but also many other documents like the passports too. Though we won’t be seeing them anytime soon. Static and dynamic authentication will be the security systems that will protect the documents. The static authentication involves keys that the issuing authority issued. Whereas dynamic authentication involves keys created by the device’s security hardware. Dynamic authentication is difficult to attack and track user data. This is why it will be of great help. The android app can present an IdentityCredential by asking it to initiate a wireless connection via NFC. Apps will be guarding these kinds of communications by requesting for permission as dialog boxes or password protections. Google though starting this project in order to digitize driving licenses, the journey won’t end here. The company looks forward to digitizing all the documents that usually the people need to carry around with them. The research is still on and will be bearing fruits soon is all we can hope as of now. the day this comes true the world will witness digitization of mankind in its true sense. From 2G to 3G to 4G and now 5G we are only getting better. There have been a lot of concerns surrounding 5G all these days. But times seem to change. Every lock has a key similarly every problem has a solution. 5G is finally a safe network. The High-Performance Networks research group at the University of Bristol’s Smart Internet Lab carried out some research regarding 5G. Many security vulnerabilities of 5G networks are existing today. The research was followed by a competitive peer review selection process. The team presented these results at a highly prestigious post-deadline paper in the Optical Fiber Communication Conference, San Diego, USA. 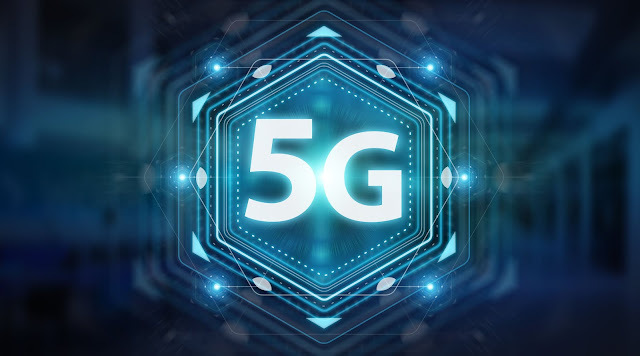 The solution that the team has found enables 5G network operators to offer very secure 5G services and also guaranteeing ultra-low latency and high bandwidth communication. This has become possible due to the novel combination of quantum and infrastructure visualization technologies. Many of us have seen the telecommunication industry grow and flourish and come to the position it holds today. A lot has changed in these years. The classes of network communication services that have traditionally been the work of proprietary, dedicated hardware have now acquired a virtual face and hosted themselves in commodity computing servers. This is commonly known as “Network Softwareisation”. The software has now replaced the critical network communication function and distributed itself across the internet. This has imposed significant security risk for telecommunication network especially the 5G network. The 5G network is at a greater risk because it relies completely on the software architectures. Any attempt to tamper with this visualized network functions will put the whole internet and its users at risk. The researchers have found the answer to this. The new research has addressed this problem with a new, fully programmable network virtualization platform leveraging on Quantum technologies for securing function virtualization and service orchestration. The proposed quantum-secured 5G virtualization platform has the capability of working across multiple 5G operator networks. it utilizes the advanced and standard complaint virtualization technology to create on-demand complex and collaborative 5G network service for the operators’ domain. Professor Reza Nejabati, Head of the HPN Research Group said, “Hardware and software technologies reported in this paper can potentially revolutionize 5G networks. They empower network operators to leverage the flexibility and programmability offered by virtualization technology in order to create new types of internet services while taking advantages of transmission at the speed of light and also securing the system using quantum technology”. 5G networks are the future of not only the telecommunication industry but also the world we live in. from a distance, it might seem just a change in the network speed but considering the dependency of us humans on networks this is going to be a milestone in the history of humans too. Humans have always craved from bigger and better things. And it is this undying thirst for advancement that is actually taking us ahead. 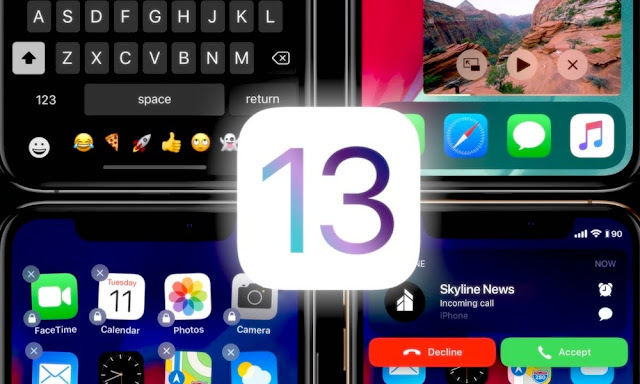 We’re still several months away from the announcement of iOS 13, which will likely be unveiled at WWDC ’19. But Apple fans are already getting creative with how they think the new software update will look. While the features in the video are just creative concepts, some of them are undoubtedly great ideas. 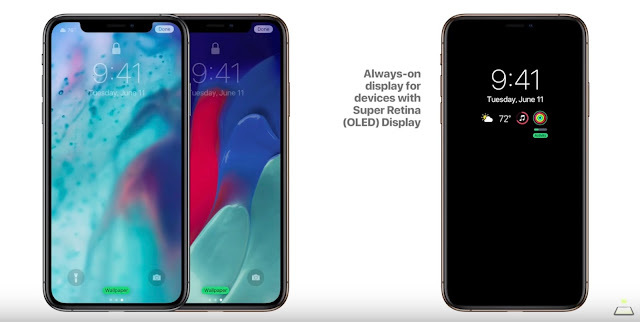 Similarly, many of the ideas in the trailer have been backed up by past iOS 13 reports and rumors. Here are all the features, broken down by how likely they are to be in the next version of Apple’s mobile operating system. Like basically every iOS concept art released over the last few years, the new trailer imagines a systemwide Dark Mode for iOS 13. But unlike past years, it seems like Dark Mode is actually on the table for the next software update. Some of the app refreshes seem to be on point, too. Even the oldest rumors relating to iOS 13 suggest that Apple is mulling revamps of its core applications. In the trailer itself, you can see a refreshed interface for both Apple Music and the Camera app. The latter concept app features additional camera settings, video pausing features, and more. The app split-view for larger iPhones also seems probable, since there’s a precedent in Apple’s native applications already. Multiple users account for iPad is also something we’ve heard rumors about. At the very least, it’s a long-requested feature that frequently shows up on iOS 13 wish lists. 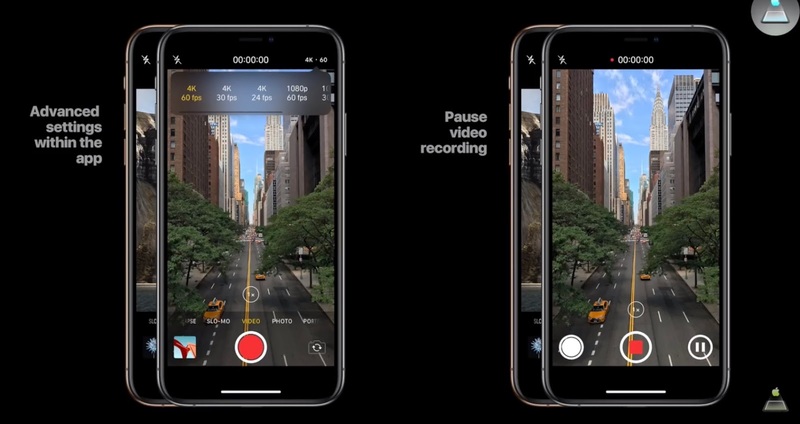 Object smart detection in the Camera app is also something Apple could very well add in iOS 13 since it’s been working hard to improve AI overall and a similar feature is already available on some Android devices. Lastly, the trailer shows off a Siri suggestion ability in the Messages app. Essentially, it would be a feature that would let users “text” Siri their inquiries. That’s something that Apple has considered itself, per a patent application. It’s hard to say what the iOS 13 concept trailer “got wrong” because the software update isn’t out yet. But there are still some things to point out. First and foremost, Apple is expected to refresh the app grid in the next version of its mobile operating system. We’re not sure what that could look like at this point, but the app grid in the trailer looks identical to past versions of iOS. 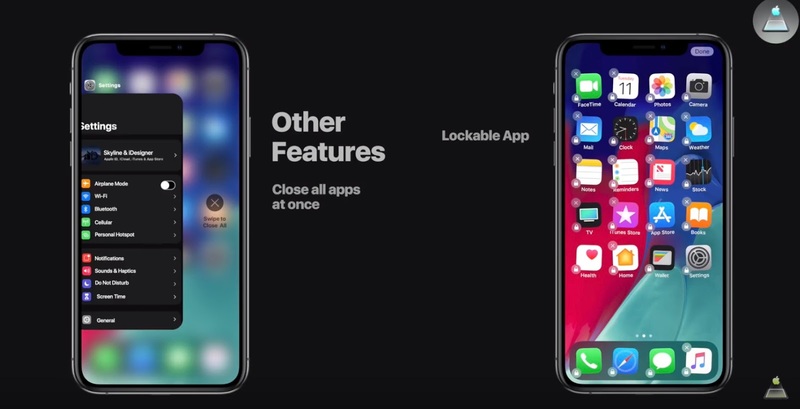 The trailer also contends that Apple could let users customize their Lock screen components, similar to how complications work on an Apple Watch. That’s not too far-fetched, but Apple’s iOS design philosophy doesn’t really translate to much customization. Finally, the “always-on” display wouldn’t exactly add much functionality to the iPhone, since waking an iPhone to view the clock is pretty simple as it is. As far as iPad capabilities, the trailer suggests that iOS 13 could add support for a mouse. Based on how Apple views its iOS and macOS platforms as two wholly separate entities, we’re not sure that it would go that far to merge the platforms. At least, not this year. Of course, there are several concept features teased in the trailer that may or may not hit iOS 13. Similarly, the trailer also missed several features that have been rumored. For example, previous reports suggest that Apple will include improved file management. That may mean additional support for external media devices or file types in the Files app. Apple is also rumored to be adding tab support for apps, as well as the ability to open two instances of an app side-by-side. Those are both features that didn’t make it into the trailer. On the other end of the spectrum, while we haven’t heard anything about some of the other ideas shown off in the trailer, they are still great ideas nonetheless. The less-intrusive designs for incoming calls, Siri, and the volume HUD are arguably long overdue. Other minor abilities, like a feature to close all apps at once, a lock mechanism for apps, and picture-in-picture for iPhones, seem simple enough to add. Finally, a calculator app for the iPad seems like a no-brainer. There doesn’t appear to any valid reason Apple wouldn’t add one in the next version of iOS. 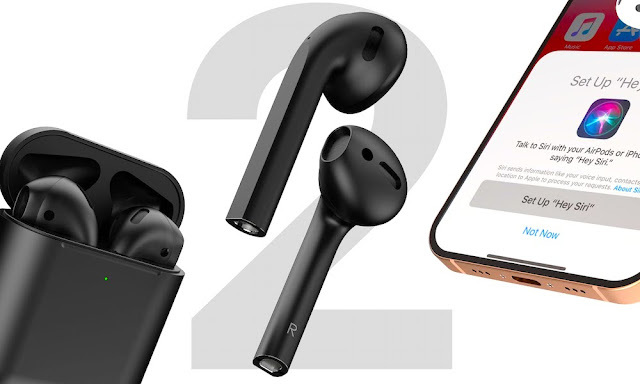 Apple’s manufacturing partners may already be mass producing AirPods 2 and AirPower for a rapidly approaching release, according to a new report out of the Far East supply chain. 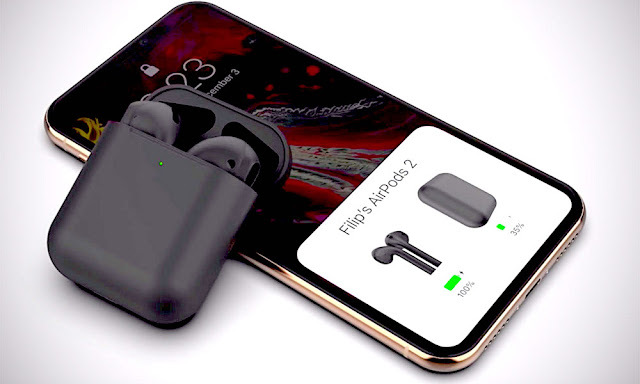 Supplier Inventec is reportedly producing a new version of AirPods and charging the case with a new surface coating, the Economic Daily News reported. Additionally, the report suggests that the AirPods are also being produced in a new black color variant. The report also goes on to claim that the new AirPods, as well as Apple’s long-awaited AirPower wireless charging mat, will become available in the spring. Because of EDN’s supply chain focus, it notes that orders for the new products will boost Inventec’s first quarter revenues. It’s worth noting that it appears that EDN is independently reporting this information from its own sources, rather than rehashing past rumors. Because of that, the Chinese-language report may be further corroboration that AirPods 2 are on their way with a new texture and color option. The EDN report didn’t elaborate on what the new surface material would be, but past rumors have suggested that the next-generation wireless earbuds could sport a “grippier” texture. As far as other rumors, the so-called AirPods 2 is expected to feature an updated wireless chip that will allow for always-on Hey Siri and a higher degree of water resistance. Rumors of other additions, like noise cancellation and health monitoring features, have also been circling the blogosphere. Apple has also essentially confirmed that an upcoming version of AirPods will come with a new case that will be Qi wireless charging (and AirPower) compatible. Presumably, that case will be included with AirPods 2. It isn’t clear how or when Apple will unveil the new products, however. An upcoming special event on March 25 is rumored to be focused solely on services. While WWDC ’19 is another possible candidate, that event falls in the second quarter of 2019 and doesn’t always feature new hardware. Apple could always surprise us by debuting new hardware at either event (and WWDC is still technically in the spring). Or it could simply release the updated AirPods and AirPower via press release, as it has done with other products in the past.